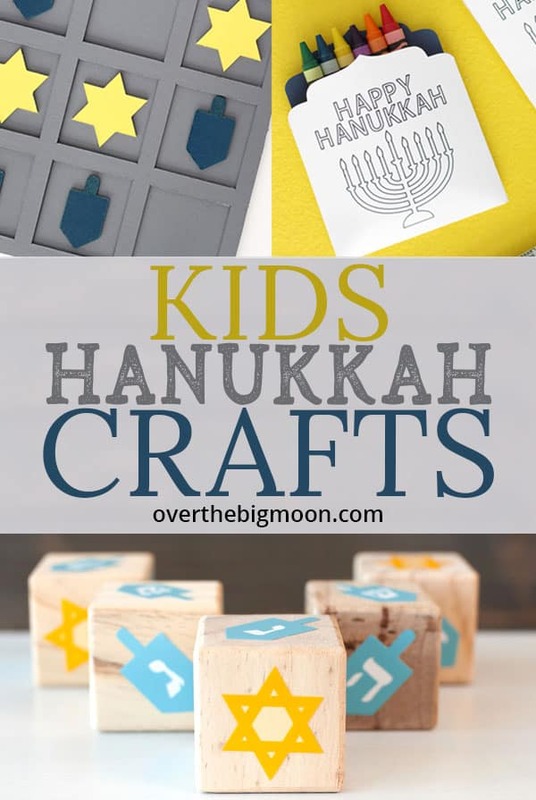 Come check out these fun Kids Hanukkah Crafts and Activities! 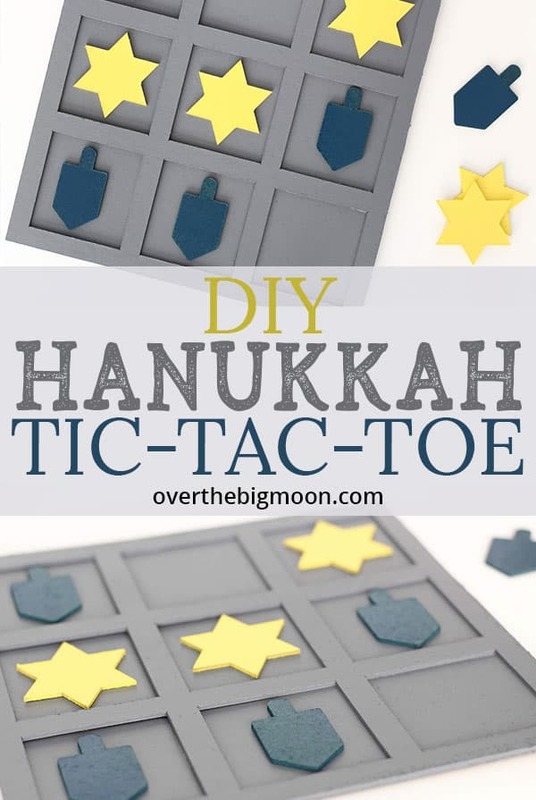 I’ve got at tutorial for a Hanukkah Tic Tac Toe Game and a Hanukkah Crayon Holder for the dinner table, plus some other fun ideas! 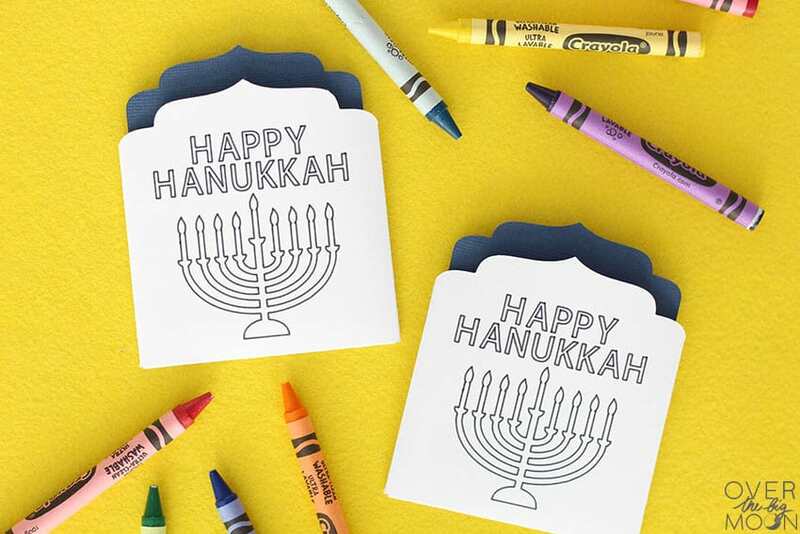 They’re the perfect way to help celebrate Hanukkah with the kids! Hey friends! Last year was our first year learning and celebrating Hanukkah as a family! We had so much fun learning and celebrating this amazing holiday, that my kids have already started talking about it again! Today I thought it would be fun to to share some of the fun ways I plan on celebrating it with them! If you’ve ever been to my site, then you probably know that when it comes time to create, I immediately go to my Cricut Maker! It makes crafting and creating so much easier! Being that the Cricut Maker has so many tools, I can create using almost any material! 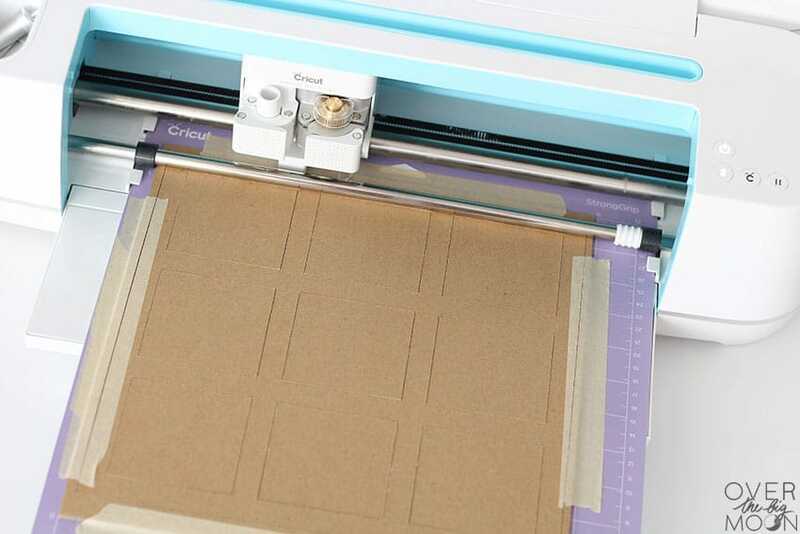 The Cricut Maker has so many tools — fine point blade, deep cut blade, knife blade, rotary cutter, scoring wheels and more! For my Hanukkah crafts, I used the Knife Blade, Scoring Wheel, Fine Point Blade and the Writing feature! Learn more about those tools below! 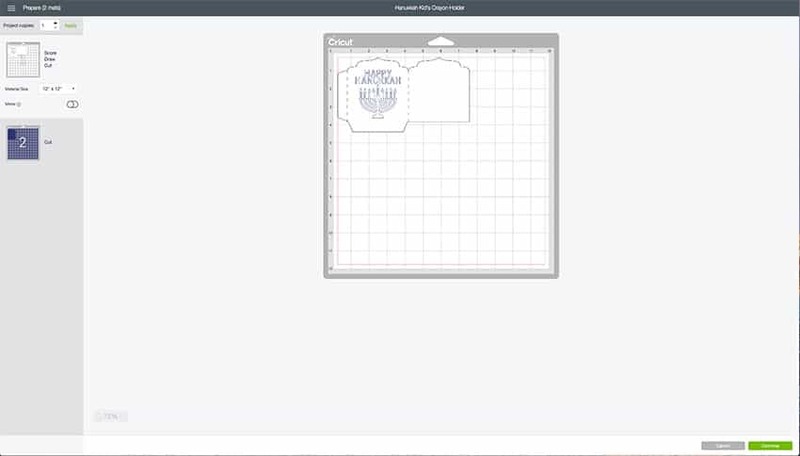 And if you want to learn even more about the Cricut Maker, check out this post! I’ve also compared the Cricut Maker to the Cricut Explore Air 2 in this post where I shared our Elf Cookie Station! 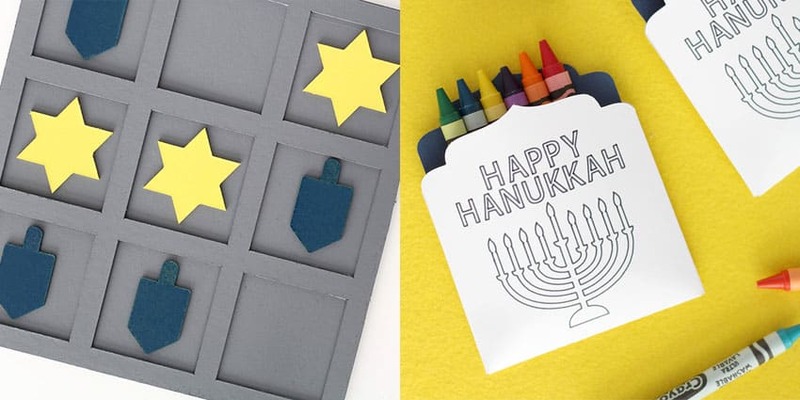 I’ve also shared a few other fun Hanukkah Kids Crafts and Games below! 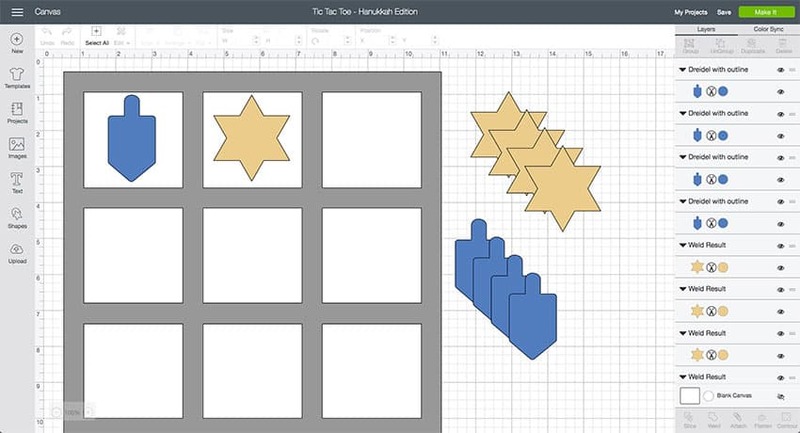 Now let’s get making the Tic Tac Toe Game. 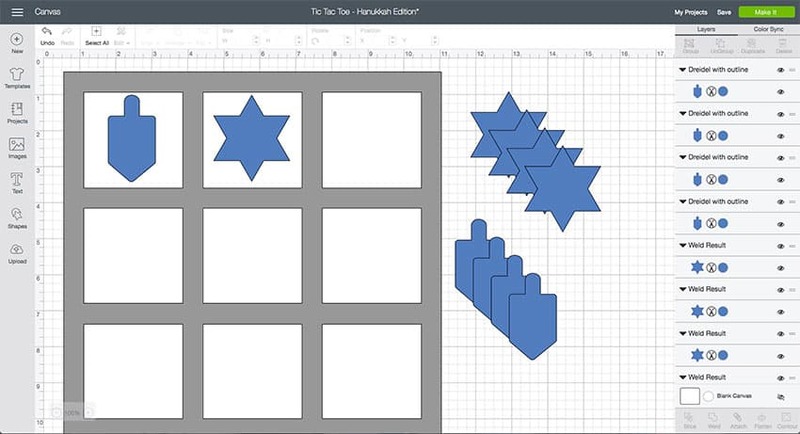 Start by opening the Hanukkah Tic Tac Toe Design Space File! In the preview I wanted to show you how the pieces will be spray painted eventually. 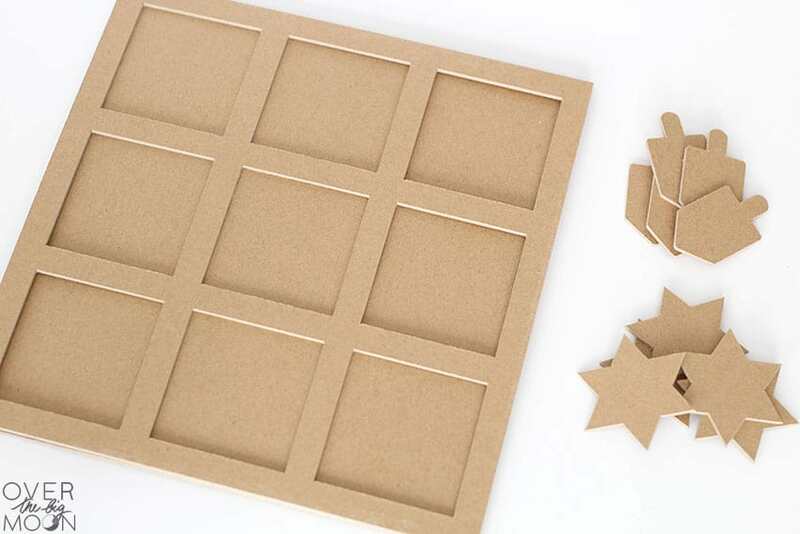 But, when you open it up, it’ll look like this, because you’ll want all the pieces to cut on one mat. It’s currently sized perfect to cut on the Cricut Chipboard! No need to make any adjustments. So, just it ‘MAKE IT’ in the top right hand corner! Review that mats and make sure that everything looks good! Then hit ‘CONTINUE’! Make sure and set the material to Heavy Chipboard! That will set your tool to the Knife Blade! Then your machine is ready for the mat! With Chipboard, I love to use the brayer to secure the heavy chipboard to the StrongGrip Mat. 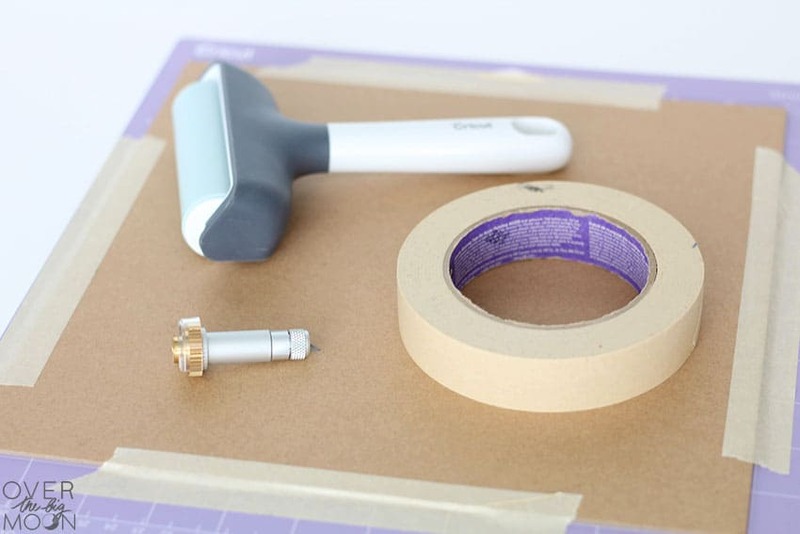 You also want to reinforce the chipboard to the mat using masking tape or painters tape! 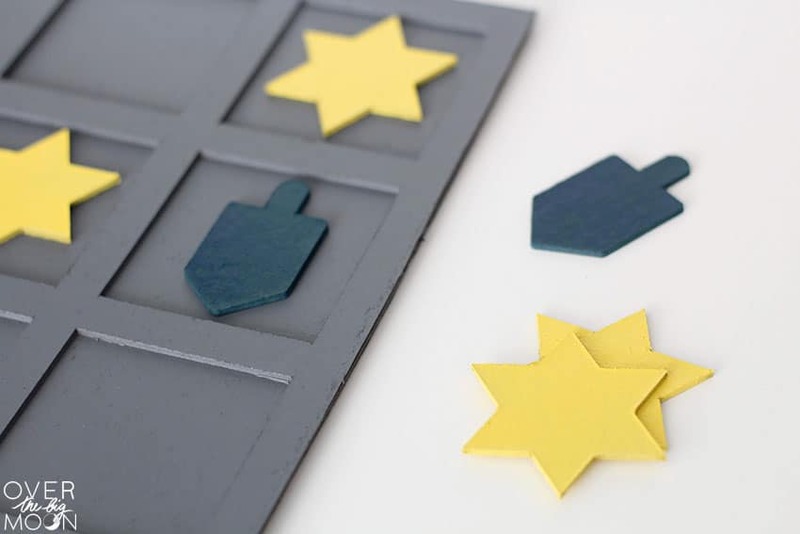 Make sure and move the star wheels (as prompted) all the way to the right, so that they are to the right of the Heavy Chipboard while the cuts are happening! Once all the cuts are done, make sure and check the cuts to make sure that they’re all the way through BEFORE unloading the mat! If more passes are needed, then press the C button on your machine to add an additional pass. If needed, repeat this until the cuts are all the way through. The next thing I did was attach the two Tic Tac Toe Board pieces together using E6000 glue. Allow to dry fully and then spray paint everything the colors that you want! Remember when painting Heavy Chipboard that you want to do several LIGHT coats of spray paint! Now it’s ready for a season full of game play! 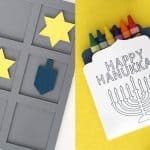 Now onto the fun Hanukkah Crayon Holder tutorial! 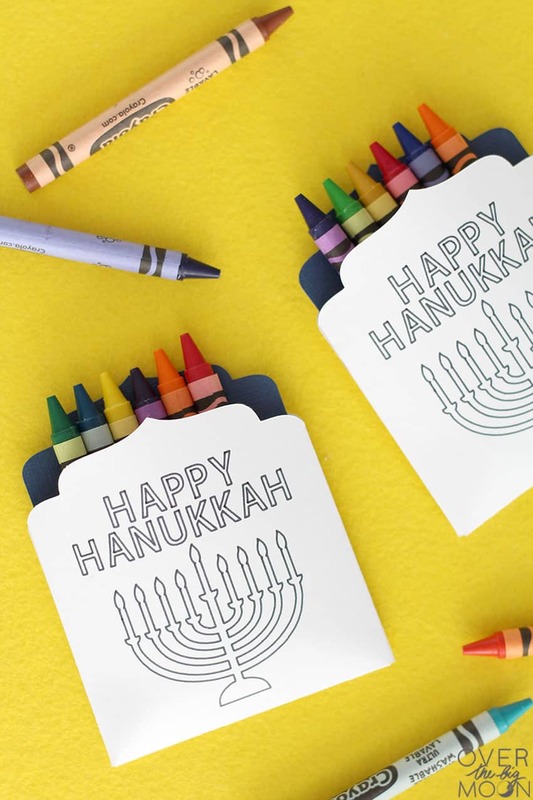 This fun Hanukkah Crayon Holder is perfect for any Hanukkah parties you have this season! 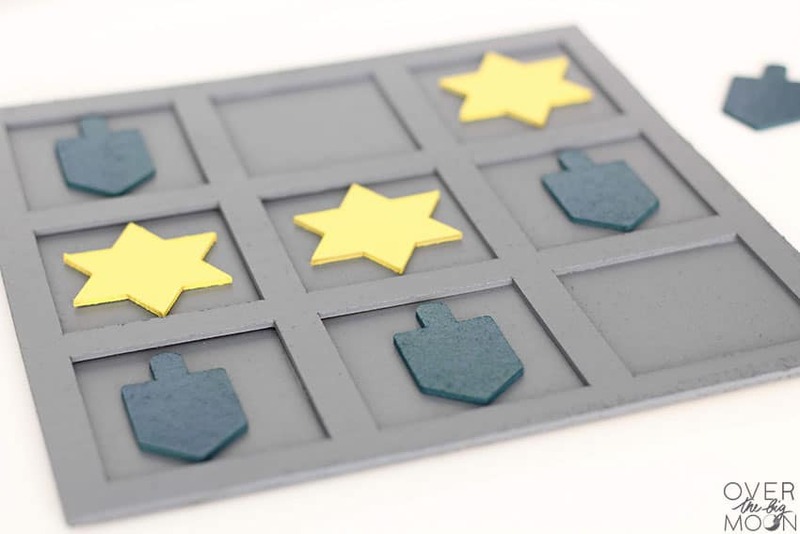 It’s so easy to make with the Scoring Wheel and my Cricut Maker! 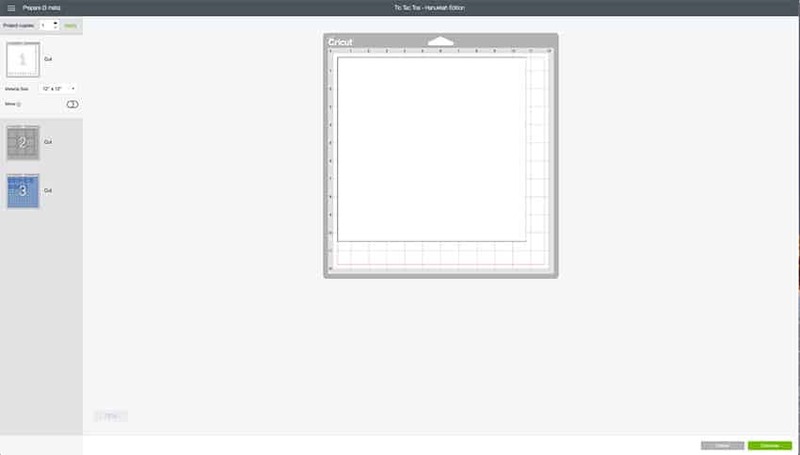 Plus, anytime I use the writing feature with my Cricut I’m a happy girl! 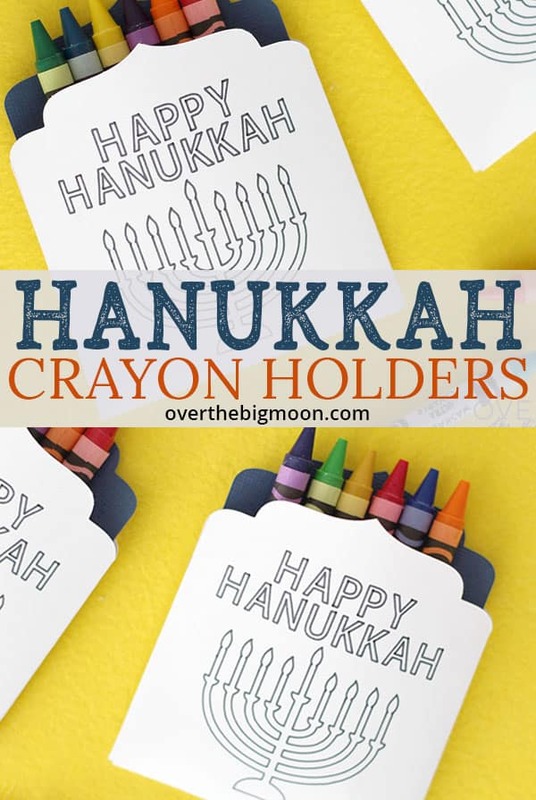 Start by opening the Hanukkah Crayon Holder Design Space file! Adjust the size of the holders if needed, but right now they’re currently perfectly designed to hold regular sized crayons. Once any changes have been made, hit ‘MAKE IT’ in the top right hand corner! Preview the mats to make sure everything looks right. If you’re wanting to make several of these, then at this point change the number at the top left hand screen under “Project Copies” and then apply. It will then duplicate the design onto however many mats it needs. 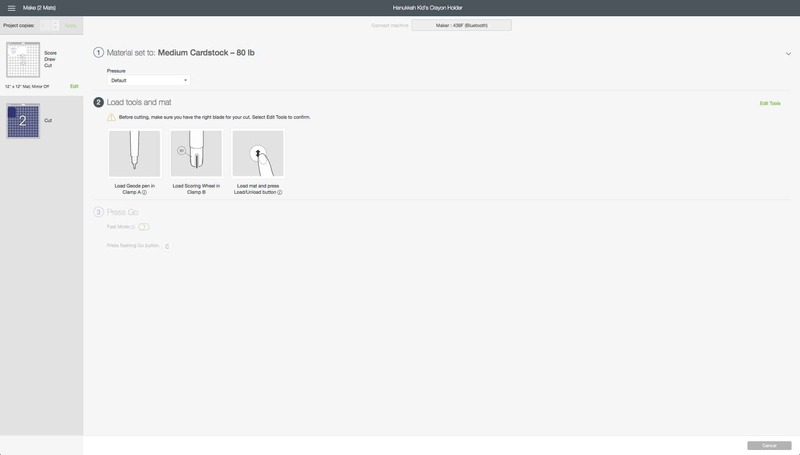 Once that is done then hit “CONTINUE’ in the right hand corner. 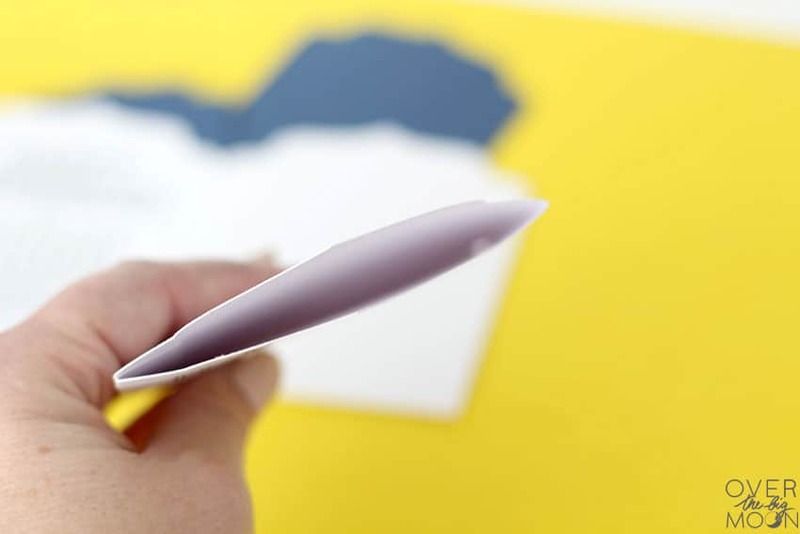 Set your material to Medium Cardstock. Initially it’s going to prompt you to load the Cricut Black Fine Point Pen and the Scoring Wheel into the machine! 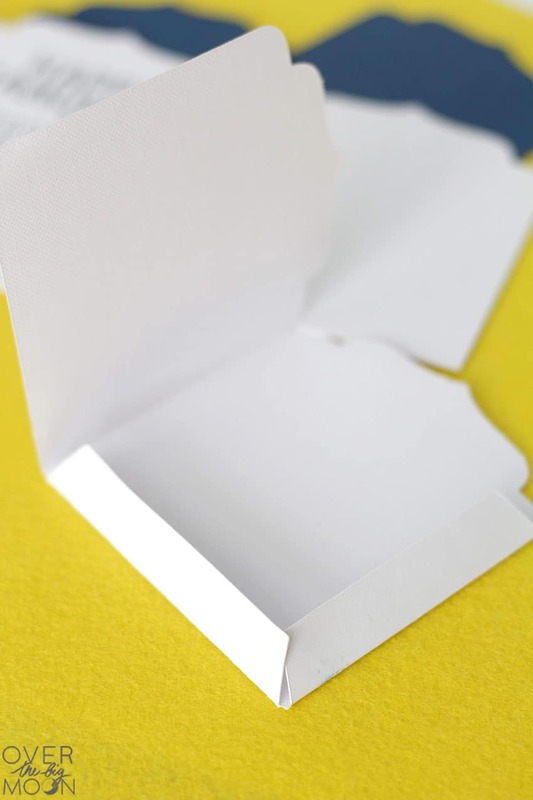 Put your white cardstock on your LightGrip Mat and load it in your machine and starting the first mat! 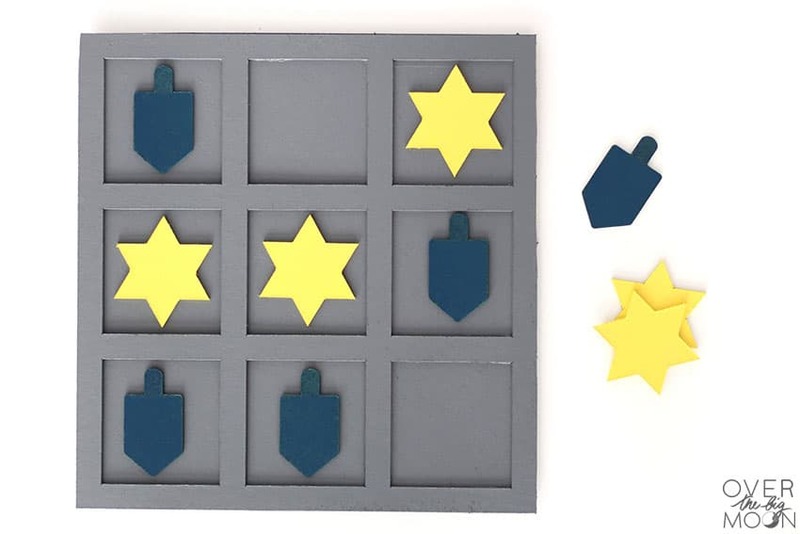 After it writes and draws the Hanukkah images onto the white cardstock and completes the scoring lines, then it will prompt you to remove the Scoring Wheel from the machine and load the Fine Point Blade. 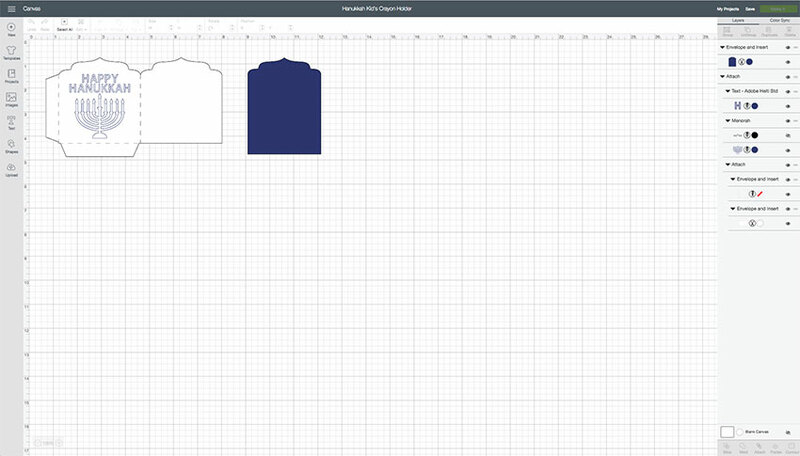 Then it will complete the cut part of the first mat. Then load the 2nd mat and have it complete that cut. Then it’s time to assemble! Start by folding all the score lines! Then use Permanent Adhesive to put together your Crayon Pouches! Then just slide the blue paper in and load the pouch full of crayons! I think they turned out so cute! 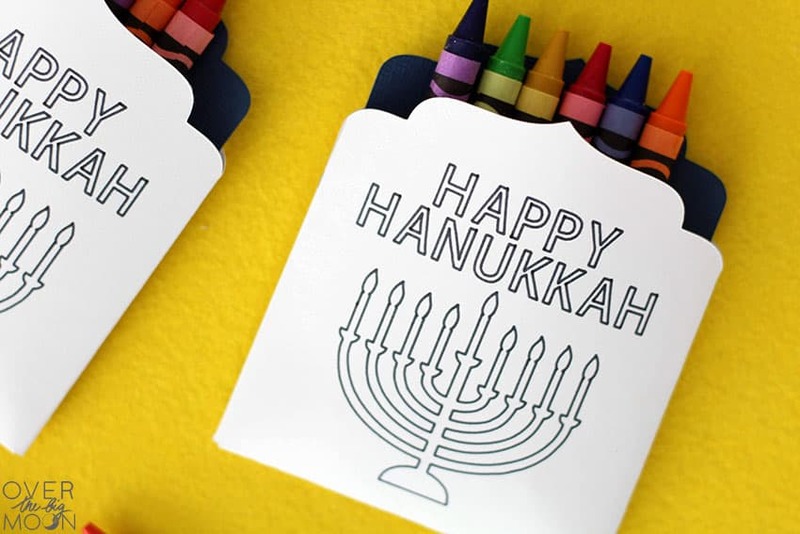 You could also print out some fun Free Hanukkah Coloring pages to put at the table with them! I haven’t gotten to these yet, but they’re on my list! They’re so fun and I’m excited to have them in a basket on our living room table for the kids to play the over the holidays! 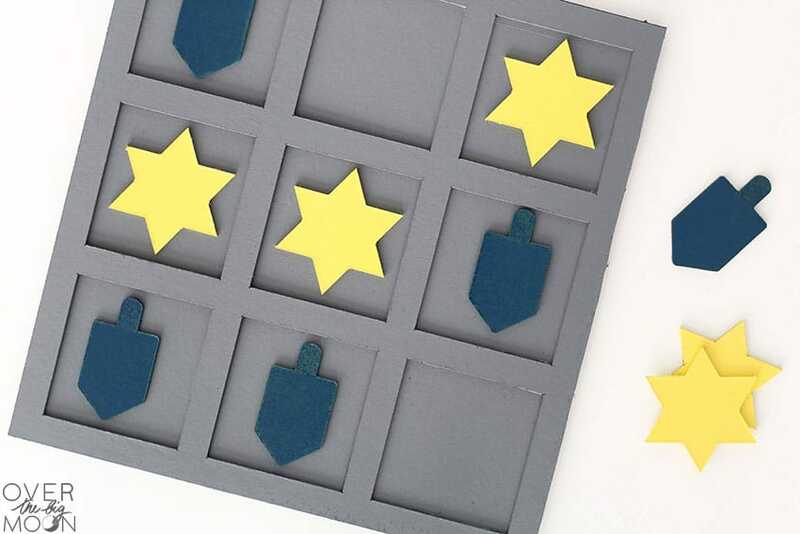 These are so easy to make, you could get the kids in on helping make them! 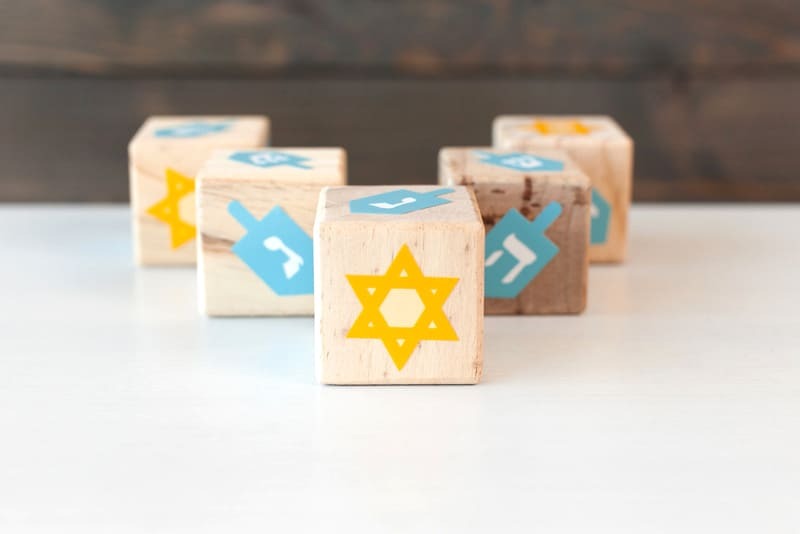 All you have to do is cut the files, weed the design, add transfer tape and then place them on the wood blocks! SO EASY! 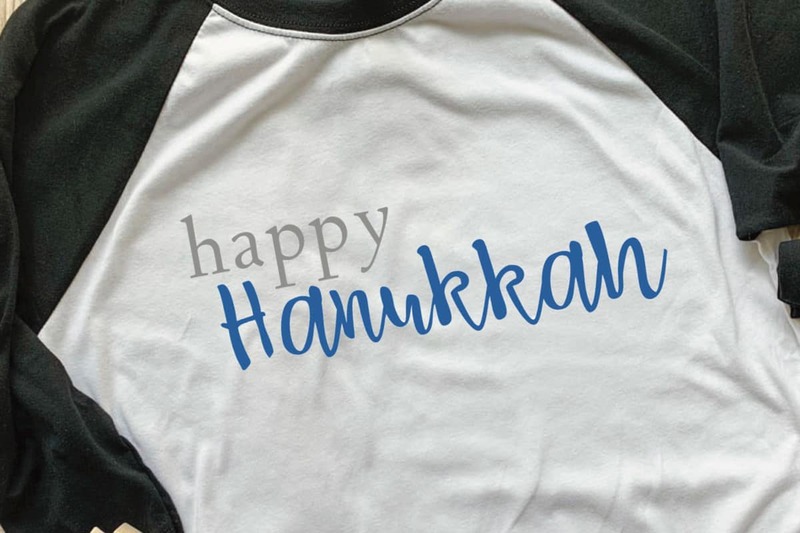 There are several fun Hanukkah designs in Cricut Design Space, so I figured I’d make my kids some simple and fun Hanukkah shirts that they can wear with all their different pairs of pajama pants! If you’ve never made T-Shirts using Iron On, then make sure and check out this post of my daughters Birthday Shirt!. I share step-by-step instructions that will be helpful! I also have a full post of Everything you Need to Know about Iron On that is full of information! 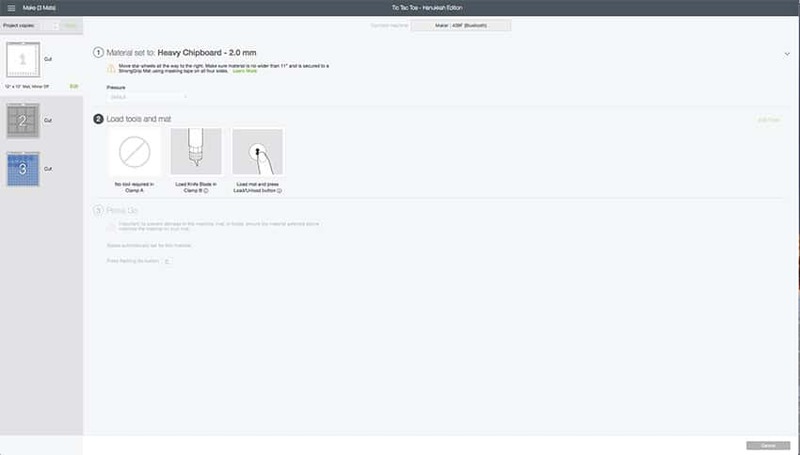 Another tip: If you LOVE making DIY t-shirts, then check out the EasyPress 2! It’s a GAME CHANGER! 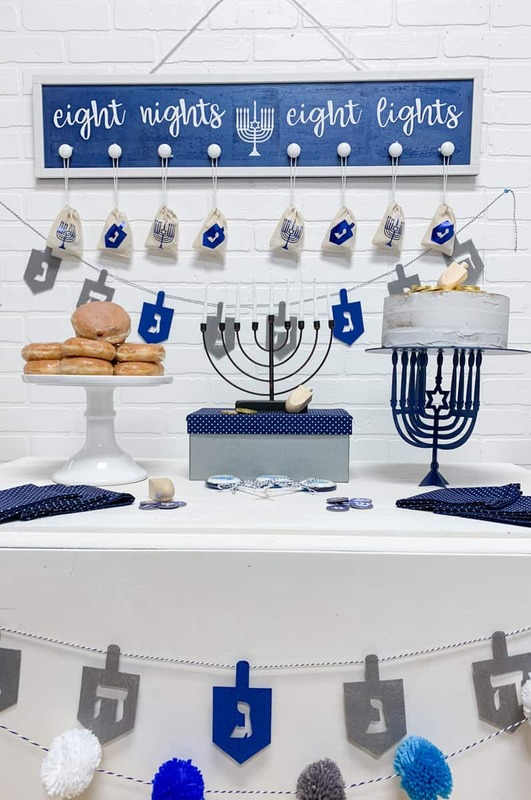 If you’re interested in throwing a Hanukkah party, make sure and check out this cute Hanukkah Celebration from Everyday Party! 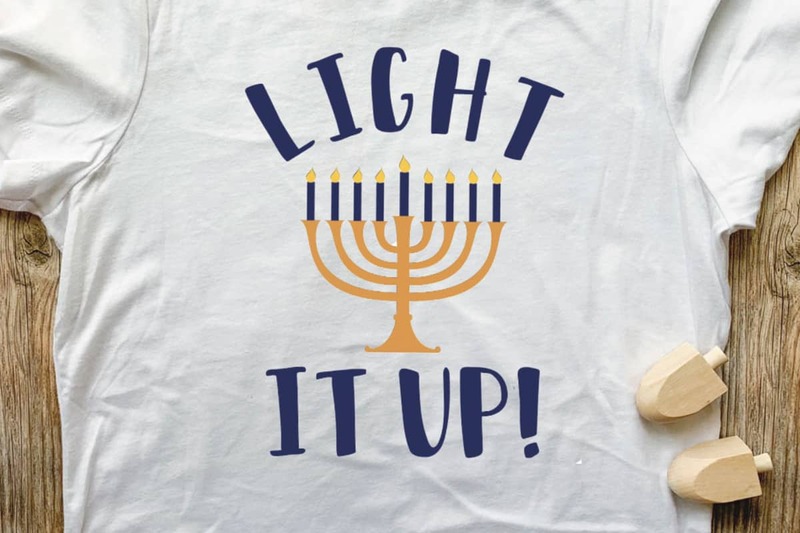 Hope you loved all these fun Hanukkah ideas! If so, I’d love it if you pinned one of the images below! 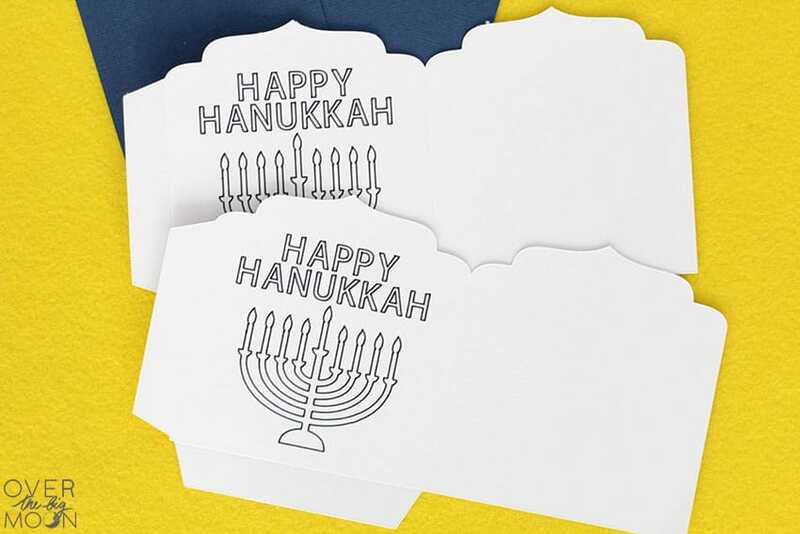 HAPPY HANUKKAH FRIENDS!